Through an incident at school, the single mother Anne (Ursula Strauss) finds out that her son Ben (Marlon Heidel) has become a victim of cyberbullying. While she tries to fight for her son’s rights, the unbelievable happens. (Cyber)bullying is a serious problem at schools. Teachers are on one hand overwhelmed or don’t act against it. Culprits lack empathy and German legislations should adapt like its neighbor Austria. 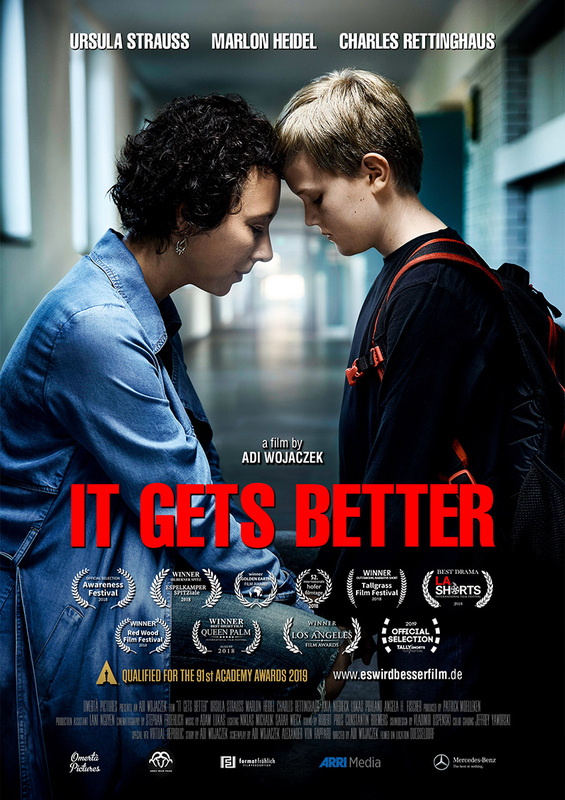 „It gets better“ deals with this issues und demonstrates in the case of the single mother Anne (Ursula Strauss), what happens when the own child is affected by it.